There is history in the making, and the Enchanted Prince slot is here to take you to faraway lands. These lands are full of Kings, princes, and princesses and you won’t want to miss out in being a part of history. 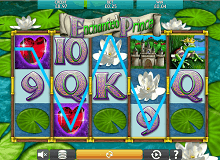 Enchanted Prince game Is a new online slot game made by Eyecon. It is an interactive slot that makes you relive the old slots in a modern way. The game is basically on a concept that is way beyond human reasoning. It has a theme that is vibrant in appearance and layout. There are five reels and a host of majestic symbols and emblems. These symbols and emblems include the princess, water lily, water lily leaf, heart-shaped ruby, and the castle. On the other hand, there is the king, ace, jack, Queen, nine and ten cards, which contribute to the entirety of the royal element. There is no way to make significant progress to play Enchanted Prince for real money in the game without understanding the basics. There are five reels, and each of the reels offers the player 25 paylines which they can cash in on at any time. For those thinking of how to maximize their profits in the game, you should know that the princess is the highest pain symbol in the game. The princess symbol can award the player up to 2,400 credits for getting five of a kind. The most valuable symbol next to the princess is the castle. The castle symbols pay out 1,800 credits for accumulating five in a row. The symbols of the game are valuable, and the game works regarding credits when it comes to staking. The player can only place bets on 1, 2, 3, 5, 8, 10, 15 or 20 credits on each payline for each spin. You can decide to play the 25 lines at once or go for the line down option. No matter how you love to play, high risk or safe, this casinos online game is for you. There is even an auto-play button that allows you to keep the reels spinning for up to a hundred games as you please. It is based on a tale of an enchanted prince that was transformed into a frog for some reason unknown to many. It spends many years as a frog but now has the opportunity to return to his previous form. A princess in the grounds of a faraway castle where the frog lived was playing with her ball when she mistakenly dropped it in the pond and began to cry. This grabbed the attention of the frog, and it came to the surface of the pond to console the princess. He offered her an offer. A kiss, to help her get her ball back. The princess didn’t hesitate to accept this offer, and as soon as she got her ball back, she kissed the frog. Immediately, the frog turned human and lived happily ever after. If you need symbols that are going to offer you a lot more value, then you should search for the wilds. The wilds have a lot of power when they fall on the lines, and they can swap out any other lesser symbol so that you can create a winning combination. However, the wilds do not affect the scatter symbols. These principles are what would guide you in playing the Enchanted Prince casino slot online and having a great time while you do so. Whenever you get a win that involves a wild, it gets multiplied by the 2X multiplier. The King’s crown becomes the wild, and the frog acts as the scatter. The scatter helps you unlock some free spins and multipliers that pertain to the size of the total bet stake. Therefore, you get 50X multiplier for five scatters, 10X for four scatters, 5X for three scatters, and 2X for two scatters. 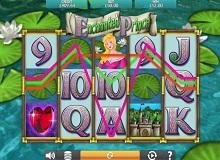 To sum it all up, one cannot doubt the presence of the Enchanted Prince slot as one of the best online slots around. Eyecon did well to make history with a game from history. The theme is brilliantly complemented with the astonishing graphics and its user-friendly interface. The storyline is quite cool for those that love art and literature, but the jackpots and RTP are generous enough to attract even those that have no idea what literature is all about. 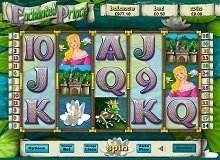 Anyone that loves to play slots would love to play Enchanted Prince slot machine online. It is mythical and adventurous, with a touch of romance. 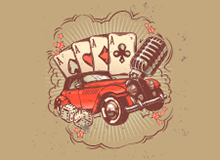 It is suitable for all experience levels of players, even to those that are more into old-fashioned slots. Summary: All players are welcome and are expected to do their best to set the Enchanted Prince free to have a happy ending.